So did Rosa set up that entire scavenger hunt in the hour or two immediately following her argument with, while extremely drunk? Also, I know Liz had a lot to process with the feelings and all, but how the heck did she not ask the alien guy who leaves magic handprints about the magic handprint on her sister's face in the autopsy photo? The 7th track was blurry, and the text isn't very vivid. Someone more versed in 90s pop songs might be able to suss it out. And I don't think Rosa made this just before she died, but rather as reminder to herself as to her 13 hiding spots around town. Another note on throwbacks or callbacks: Max's letter to Liz in high school referenced the time that he had hot sauce on his lips. In the original Roswell, the siblings's "special, weird thing" was Tabasco, instead of acetone (nail polish remover), which got explained by Liz as "trace amounts [of acetone] help with active growth and regeneration in plants." OK, so it's not beyond the scope of reality that an alien species would consume it to help their growth ... but how did they figure it out? New Mexico location note: early in the episode, there was a shot of the Kiva Theater (Cinema Treasures) ... from Las Vegas, NM (Google streetview). New Mexcio's Vegas definitely has more of that small New Mexico town feel, if you want something that has a Western + adobe (thick walls with rounded corners) vibe. 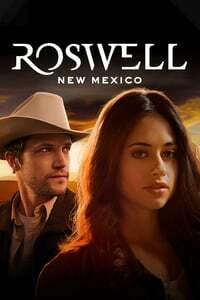 Like I mentioned in the last episode discussion, this is not the feeling of modern Roswell, and I don't think it ever was. The reason I was wrinkling my nose at the timing was because the clues seemed to be sequential and the note from Max was #3. I do like the mix-tape-as-scavenger-hunt thing, even if it seems implausible. I still continue to find the Evans/Guerin boys giving intense eye contact to be pretty hot, actually. I do root for Max and Liz. I think Michael is a jerkwad, and that Alex should avoid him, but that was actually kinda hot in the scenes with the truck. Noah sounds very sweet and nice, but I felt bad when Isobel said her brother was her person. Well, you can figure out why, I suppose. I liked that Liz, however she did it, withstood Isobel's brainwash powers. I want to know how Liz has her sister Rosa in her. And I'm surprised that with what she knows of Max, her first assumption is that he harmed Rosa rather than tried to help her (and failed). Also conveniently forgetting the other aliens. I like that we got to see Alex and Michael in love in the morning before they started messing up their relationship again (mostly Alex, honestly). I'm not surprised that we're getting more drama at this point, but that we got some happy and naked loviness first was surprising and made me happy too. Also, the bookshelves had one of the the Vampire Diaries books (nice nod to another CW show based off of a long YA series), Pride and Prejudice (unclear if there were zombies or not), and Sarah Dessen's The Moon & More, which just made me happy to see. For filthy light thief and all interested parties- the 7th song was Genie in a Bottle- Christina Aguilera. I’m liking the nods to the music of the original series, especially in the second episode. Here’s hoping they keep that up! Champagne Supernova: I’m liking the nods to the music of the original series, especially in the second episode. Here’s hoping they keep that up! A lot of the music in the show has particular significance for the characters. How did you settle on "Mrs. Potter's Lullaby" as the linchpin song for the pilot? It's funny because that's one of my favorite Counting Crows songs, but when I initially reached out to them we asked for "Mr. Jones," because I felt it was a more recognizable song. Adam Duritz, the lead singer, was like, "I love the original Roswell, I'm down to give you guys whatever you need, and I will give you any other song. I'm so sick of Mr. Jones.'" It ended up working out beautifully because there's a lot of references to the desert in "Mrs. Potter's Lullaby," and there's a mention of a girl named Maria, and it just felt like the one we were supposed to have in the end. He gave us the song for incredibly cheap because we don't have a big music budget, and I have expensive tastes! I've had to write a lot of letters to lead singers just being like "Please?" But our music supervisor, Chris Mollere, is a magician, and he's really made magic this season with about five cents of a music budget. Nostalgia is such a big textual part of the show, and the music choices seem to reflect that. 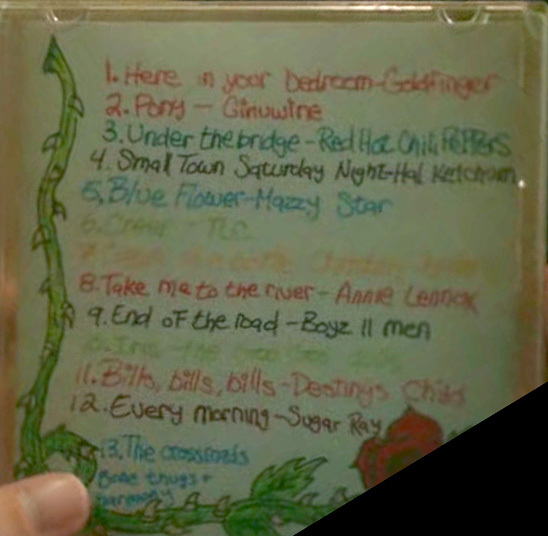 Yeah, the rule is that it's either '90s music or '90s covers, or it's a cool alt-country vibe. There used to be a line in the pilot where Liz said that the jukebox in the diner hasn't been updated since 1999, and even though the line fell out, we kept that sentiment. So whenever music is playing in the diner, it has to be before '99. It's actually funny because the characters were in high school in 2008, so the music is a little incongruous with that. But 2008 just feels recent to me. The music of that era still feels current to me, so going back to the ‘90s felt like it would evoke a sense of nostalgia. The Better Call Saul podcast had an interesting segment about music budgets and limitations, in that big budgets mean you can get your first idea for a song, which is often a well-known song, but those often come pre-loaded with meanings, as they've been most likely been used elsewhere. So a limited budget makes you think hard about musical choices, and sometimes come up with better fits, like "Mrs. Potter's Lullaby" (official video; lyrics on Genius.com with embedded sample, or full song if you have an Apple Music account).